DEBBIE DURKIN COACHELLA WEST ROCK'N'ROLLA ECOLUXE LOUNGE AT THE AVALON ROCKS! Emmys� week included a fantasatic party presented by Debbie Durkin (@producerdeb on Twitter), renowned sustainable TV�film product-placement professional. 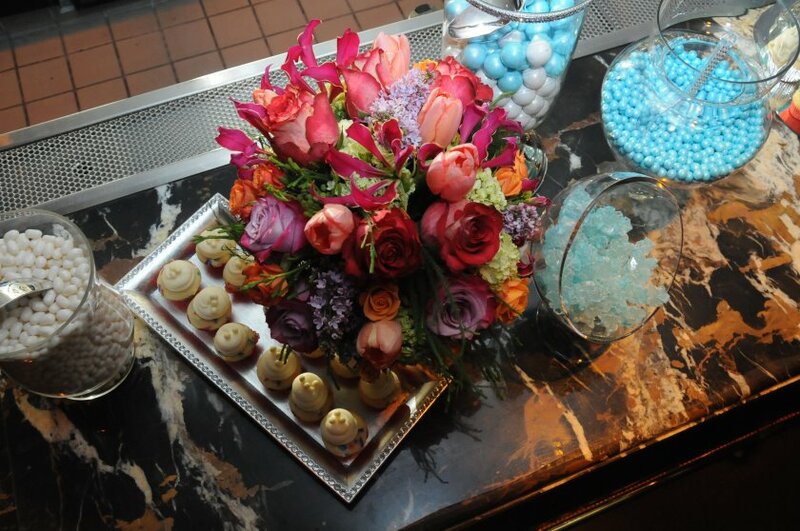 Durkin who produces some of the most outstanding pre-events for the entertainment awards shows annually, who has honored the MTV Movie Awards and Coachella music festival near Palm Springs, California for years threw one heck of a great pre-party at the Avalon Hotel this year. 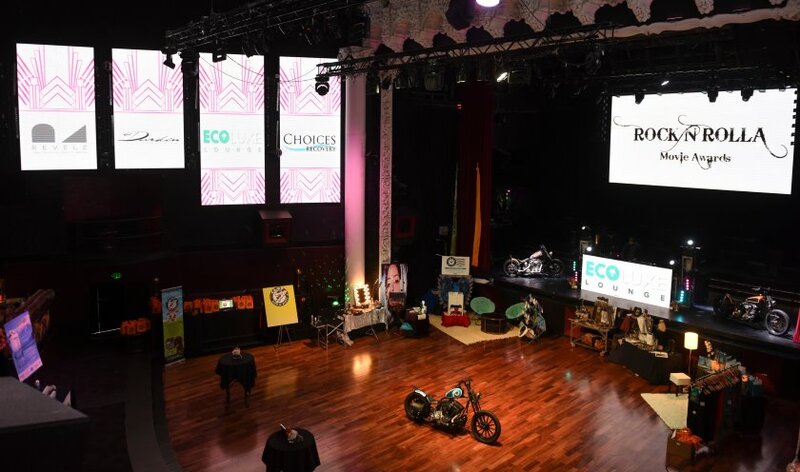 Despite the many attractions at Coachella 2015 on the concert grounds and in area venues, Durkin made a wise decision to stage her rock-themed Rock �n� Rolla Ecoluxe Lounge (hashtag #EcoLuxeLounge) at the Avalon in Hollywood in advance as others took off for Coachella Valley. 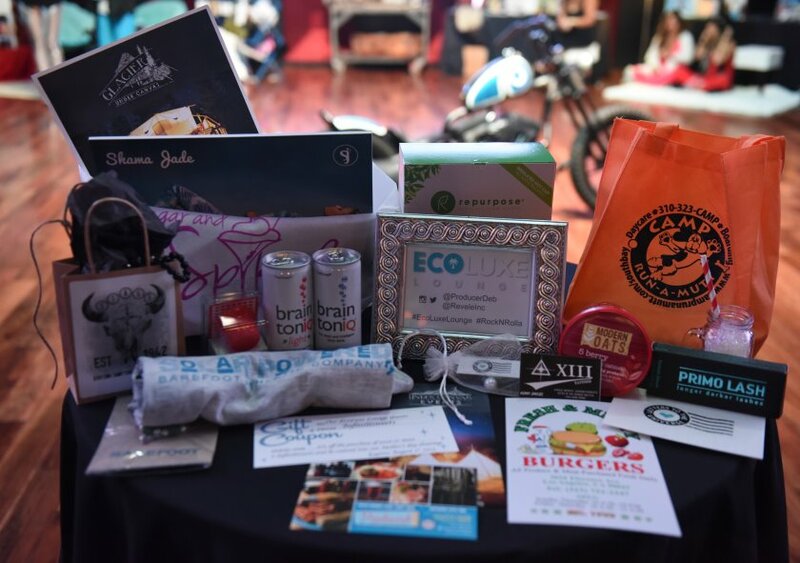 Attendees were treated to Brazilian yoga jumpsuits from Shama Jade, jewellery from Stage Men�s Collection and Glamarella Junk, glamping vacations to Moab and Glacier National Forest from Under Canvas. Custos the wonder dog was the star in the celebrity pet lounge featuring Camp Run-a-Mutt and Letters to The Universe teens-on-tour collected letters from celebrities. 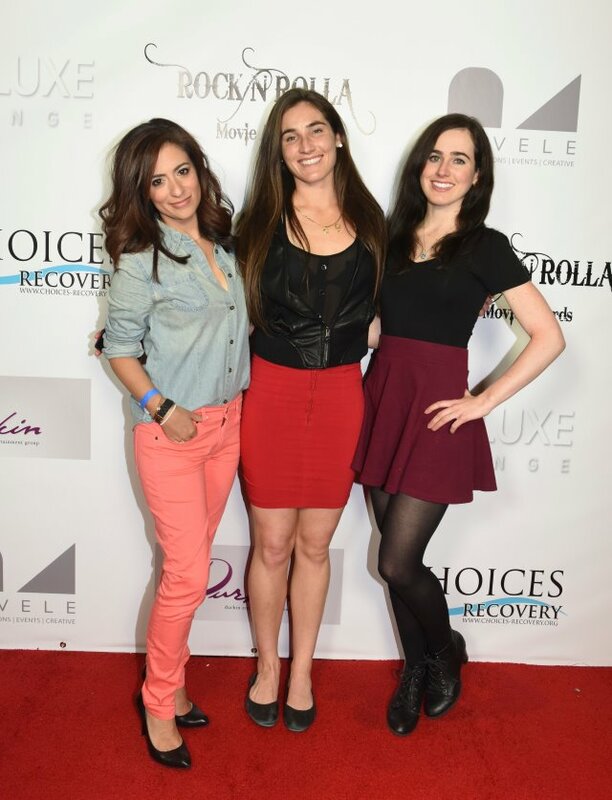 Choices Recovery was the lead charity for the event, with DJ Mike Shay of Superbox Music and Vanderpump Rules providing cool sounds. 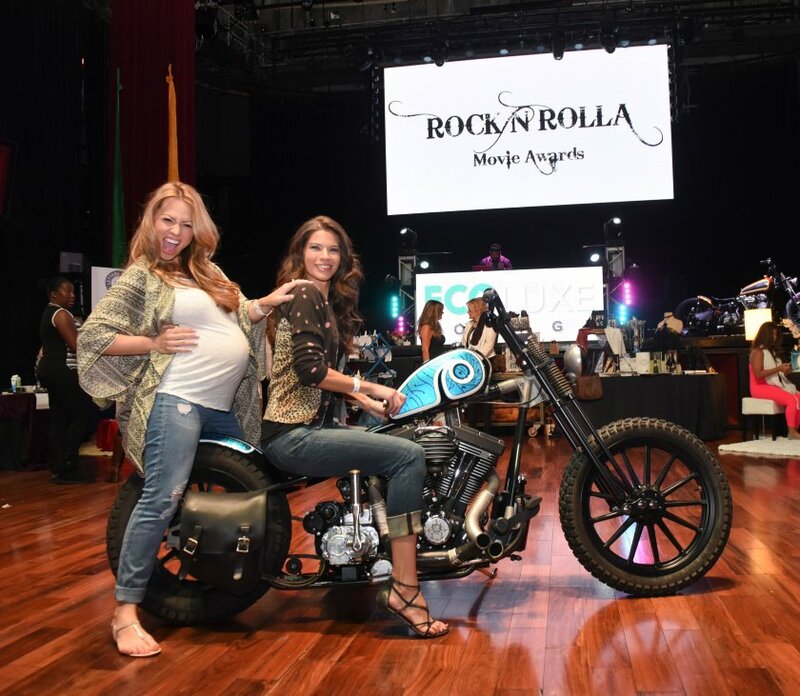 Celebs and VIPs savored sweets from Sugar and Spyked, tattoos by Adam Daniel and a motorcycle display courtesy of Nash Motorcycles. Guests were given make-up touches by celebrity make-up artist Victoria Rowe and hair re-do's from Stephanie Martinez. Great food included burgers from Fresh & Meaty, along with award-winning beer from Beachwood BBQ & Brewing, which were all served in sustainable tableware from Repurpose Compostables. Beverage specialties included drinks from Icebox Water, True Toniqs, and Slim Chiller (cocktails and popsicles), and attendees took home a gift bag filled with items from Modern Oats, Barefoot Athletic Company, Fullips, Santa Fe Soul and more! Chase Masterson (The Flash, Star Trek) and Herman Moore (retired NFL wide receiver, Detroit Lions) helped spread the word about Choices Recovery and create awareness about addiction in Hollywood and gifted red carpet arrivals with their Sweet Choices candy bar, courtesy of Infiniti Sweets. 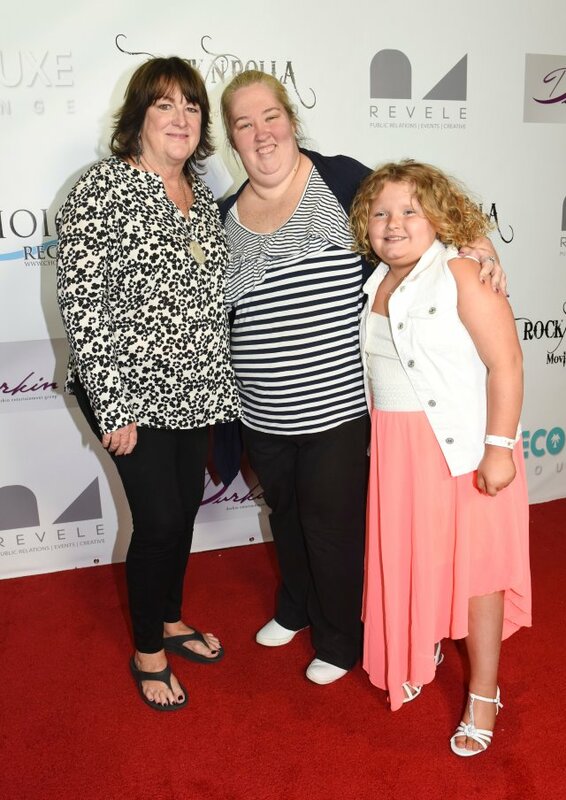 Film and Television personalities and notables from the cast of Vanderpump Rules, Kendra on Top, Here Comes Honey Boo Boo, The Goldbergs and more stopped by Ecoluxe Lounge for an unforgettable day. Notable attendees included: Alana Thompson, a.k.a. Honey Boo Boo, and Mama June Shannon (Here Comes Honey Boo Boo); Scheana Marie Shay, Tom Sandoval, Ariana Madix, Kristen Doute, James Kennedy, Tom Schwartz and Peter Madrigal (Vanderpump Rules); Jessica Hall (Kendra on Top); Octavius Johnson (Ray Donovan); Sabina Gadecki (Entourage: the Movie); Scott Bailey (The Bay); Dexter Darden (The Maze Runner); Lexi Ainsworth (Emmy nominee, General Hospital); Ken Davitian (Borat); Monty Greer (MTV�s Awkward); Barbara Alyn Woods (One Tree Hill) with daughters Natalie Alyn Lind (The Goldbergs), Alyvia Alyn Lind (The Young and the Restless) and Emily Alyn Lind (Revenge). Congratulations Debbie Durkin on yet another fantastic Coachella West Adventure that was enjoyed by all at the Avalon Hollywood! This June, the small Sicilian town of Taormina will transform into a glamorous, old Hollywood style celebration for the 61st Taormina Film Festival. One of the most distinguished and historic film festivals in the world, this chic, VIP affair draws dozens of film directors, actors and actresses from around the world with film premieres, retrospectives, star salutes and extravagant parties all set against the picturesque town of Taormina and breathtaking setting of the Teotro Antico, an ancient 5,000-seat Greek theater perched on a Mediterranean seaside hilltop. The festival will include its famous Tao Classes, where renowned names in film host cinematic discussions and tutorials, along with numerous award ceremonies honoring the world�s most prestigious filmmakers and stars. Past honorees include Russell Crowe, Tom Cruise, Robert De Niro, Meg Ryan, Antonio Banderas, Woody Allen and more. The 2015 Taormina Film Festival honorees will be announced at the Cannes Film Festival in May 2015. The 2015 Taormina Film Festival will take place in Taormina, Italy. Please visit www.taorminafilmfest.net/home.aspx for more info. Roadshow Revival�s annual homage to the �Man in Black� returns to Johnny Cash�s old stomping grounds in Ventura on June 27-28, 2015. For the first time ever, one of the largest tribute concerts on the West Coast is moving to the beautiful Mission Park in Downtown Ventura and expanding to an exciting two-day celebration of the music of Johnny Cash. Just two blocks east of the Ventura County Fairgrounds, the 7th annual Roadshow Revival music festival will feature two days of high-energy combination of outlaw country, rockabilly, bluegrass and Johnny Cash tribute bands, plus a pin-up girl pageant, hot rods, custom cars and motorcycles, craft beer, food trucks, roadshow bingo, a kid�s corral and scores of vendors with unique offerings and Johnny Cash collectibles. A dynamic lineup has been announced and confirmed performers include such popular acts as Reverend Horton Heat, Billy Joe Shaver, The Blasters, John Doe, Big Sandy and his Fly Rite Boys, Robert Gordon and Jamie James and the Kingbees. Other performers include Gamblers Mark, Slim Jim Phantom Trio, Big River Band and Petunia and the Vipers, offering attendees a chance to enjoy an eclectic mix of country to classic rock in this expansive open air venue. More artists and bands will be added to the lineup as the festival date gets closer. Roadshow Revival�s Tribute to the Music of Johnny Cash will take place on Saturday and Sunday, June 27 and 28, in the heart of Ventura�s historic downtown district, at Mission Park located at 185 East Santa Clara Street, Ventura, CA 93001. VIP and general admission tickets are available now to purchase online. Tickets will also be available at the door. Saturday one-day general admission tickets start at $30 and 2-day tickets start at $40. Active military get half off admission, with valid government ID, at the door. VIP tickets are $200 and include admission to the festival both days, complimentary food and beverages, early entry, a private bar, VIP view of the main stage and access to the orchestra pit. Children 6-12 are $5 and children under the age of 5 enter free. Car show passes and tour tickets are also available. Use Promo Code: RSRAFPR to receive 10% off tickets until May 1, 2015. Please visit www.facebook.com/theroadshowrevival for up-to-date event information, merchandise specials and ticket giveaways. For more information and band and performance schedules please visit www.roadshowrevival.com. 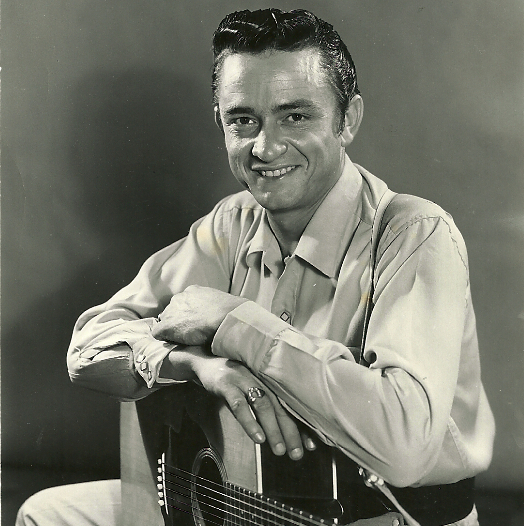 In 2009, musician and local business owner Ross Emery produced the first Johnny Cash Music Festival in Ventura County with support from the Cash family, his brother and the Ventura community. Following the event�s initial success, Emery bought the majority stake of the event in 2010 and gained the support of Johnny Cash's daughter, Cindy Cash, who joined the production team. In 2011, the festival�s name was changed from was The Johnny Cash Music Festival to Roadshow Revival - A Tribute to the Music of Johnny Cash. Today, Roadshow Revival is one of the largest tribute festivals on the West Coast. Roadshow Revival is proud of its ongoing support of local charities. This year�s festival will benefit: Food Share, Ventura County�s food bank.